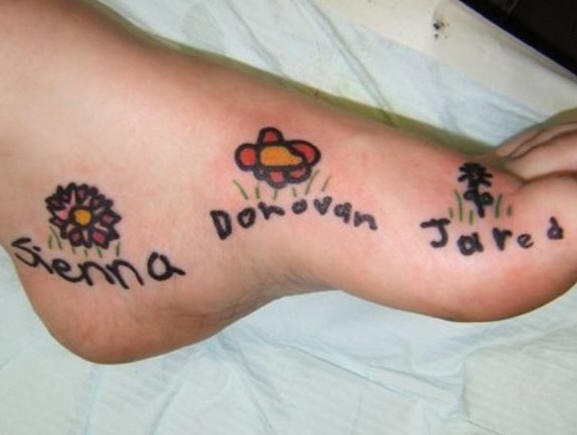 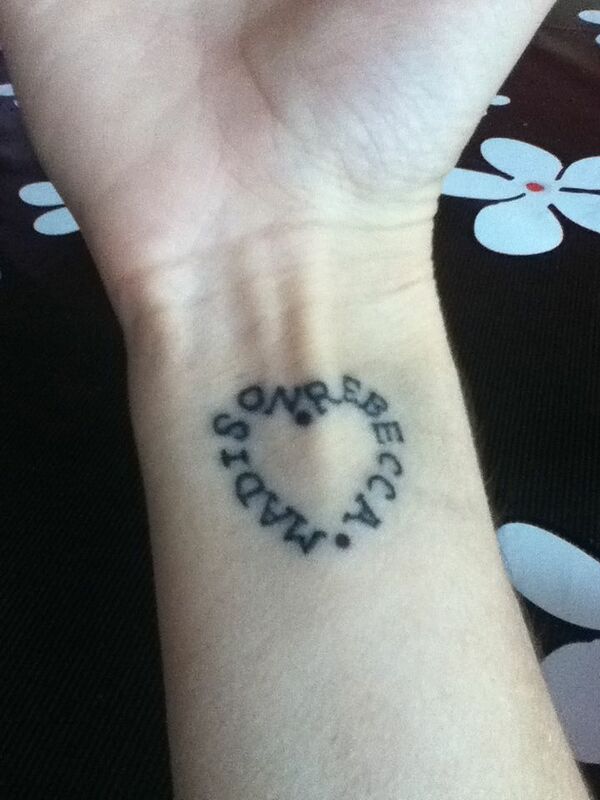 Kids name tattoos are probably one of the most meaningful tattoos. 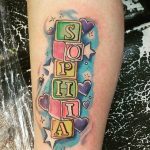 I cannot remember who said this, “there really places in the heart that you don’t even know exists until you love a child”. There is no relationship or love, like that of the parents for their children and it is the only love that is truly selfless, unconditional and forgiving. 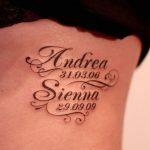 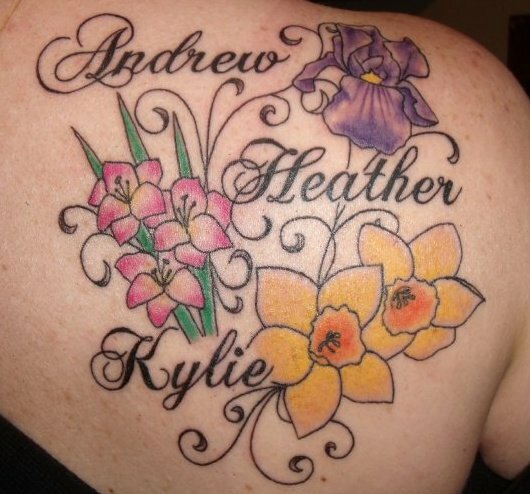 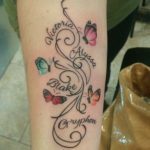 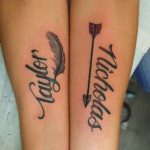 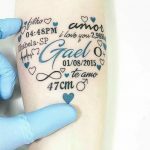 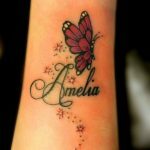 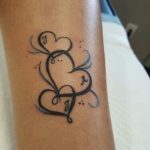 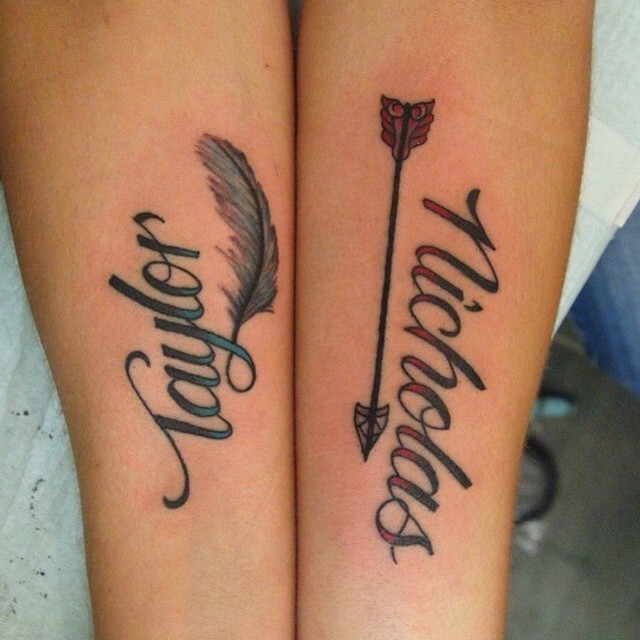 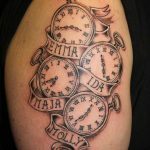 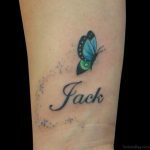 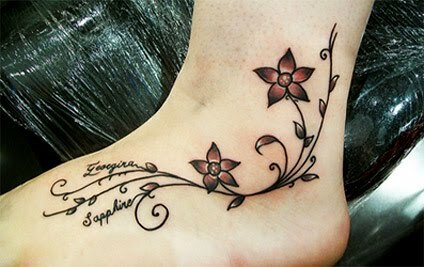 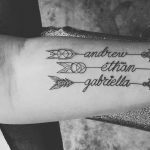 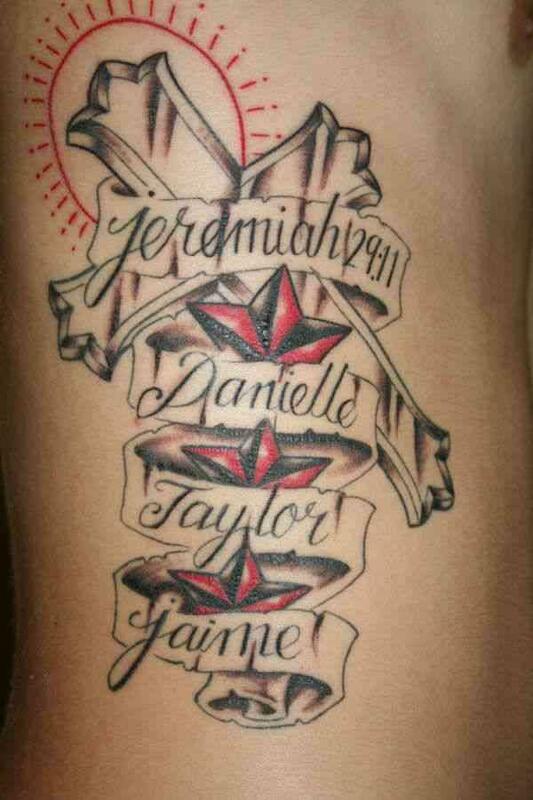 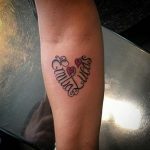 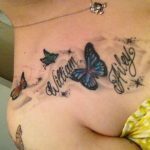 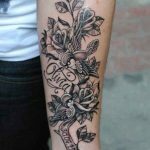 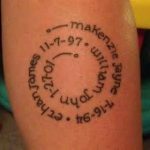 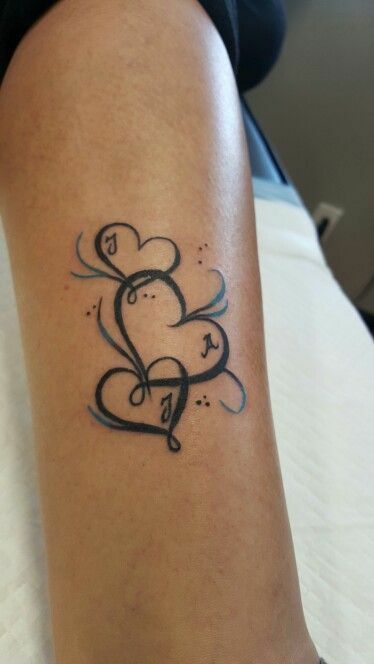 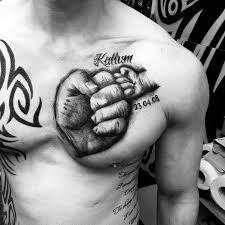 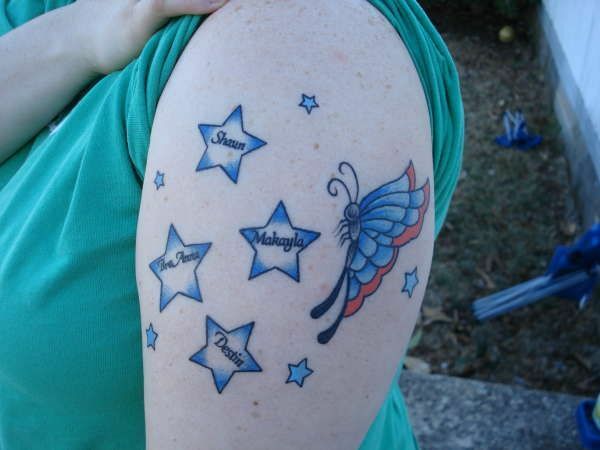 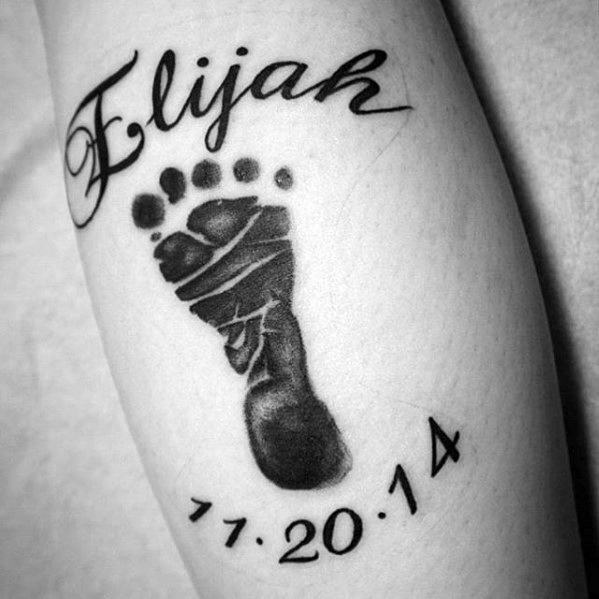 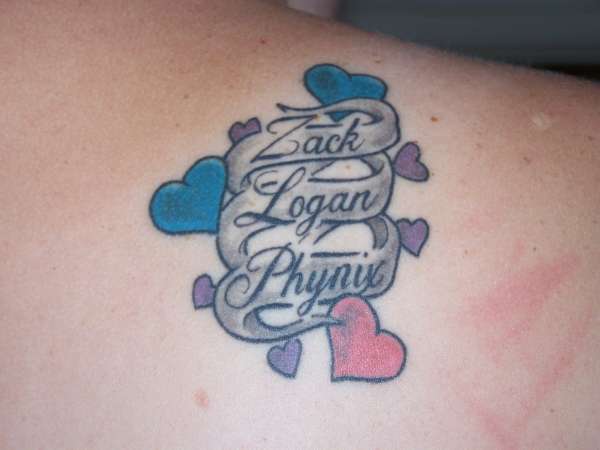 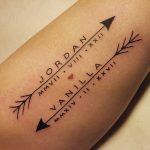 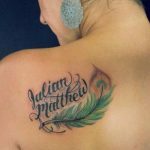 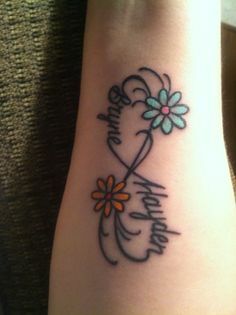 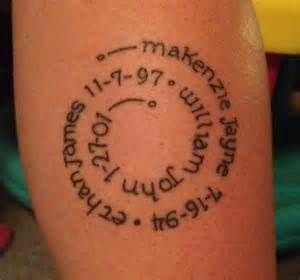 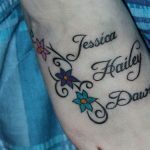 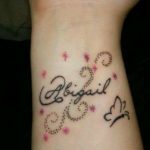 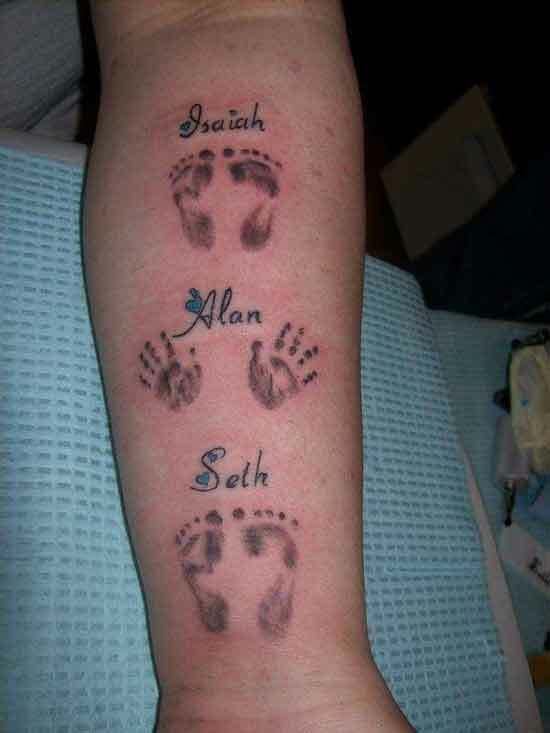 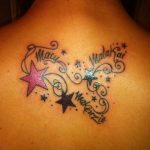 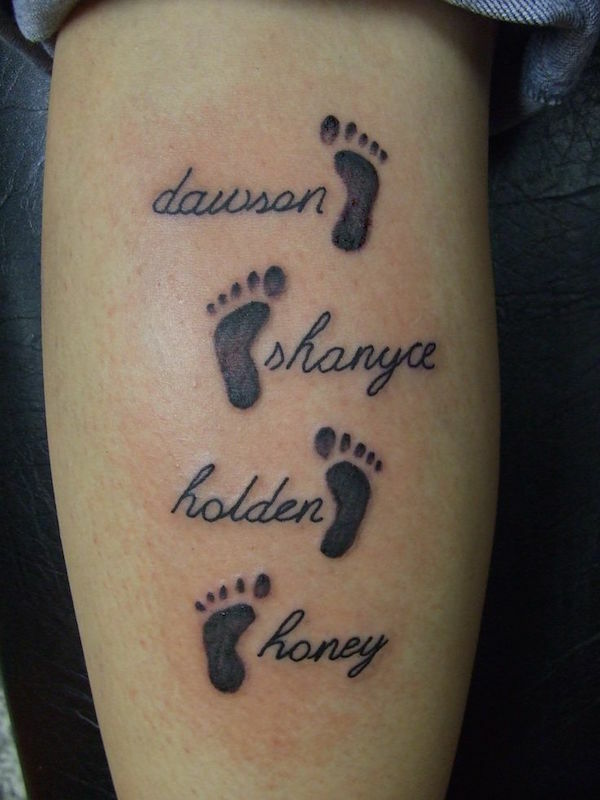 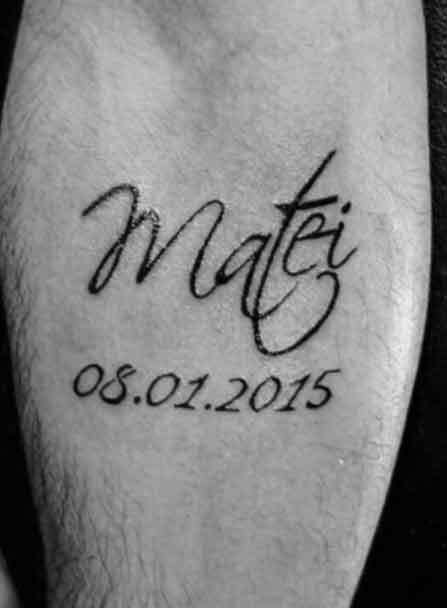 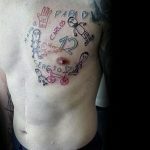 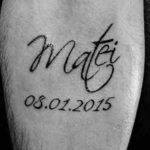 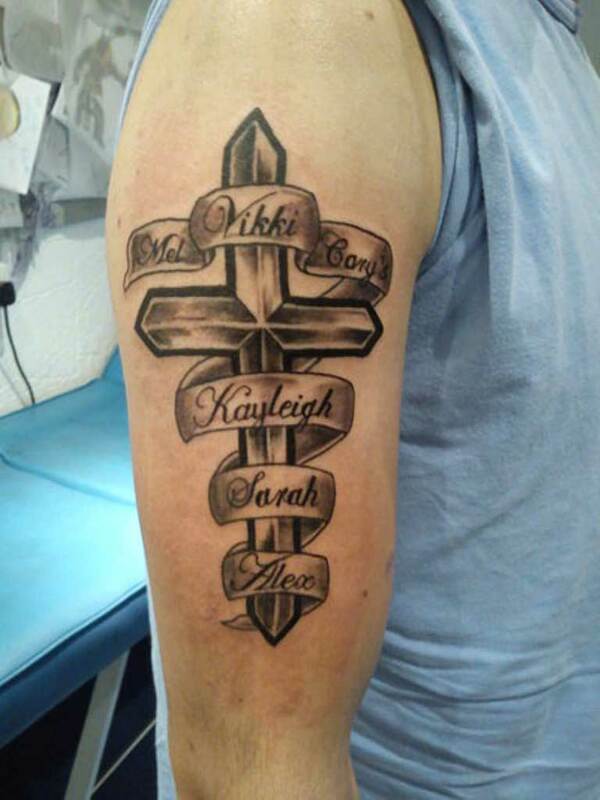 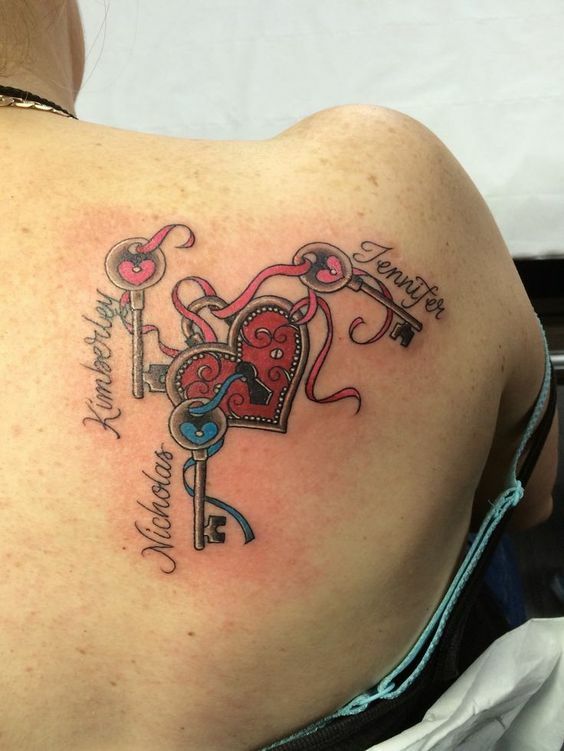 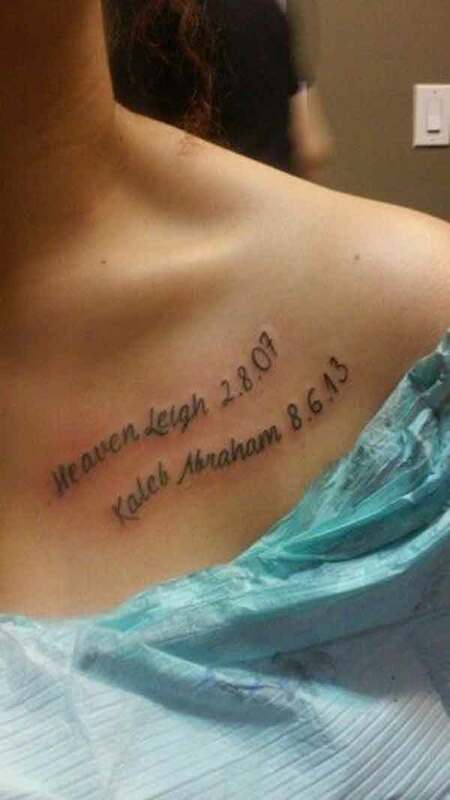 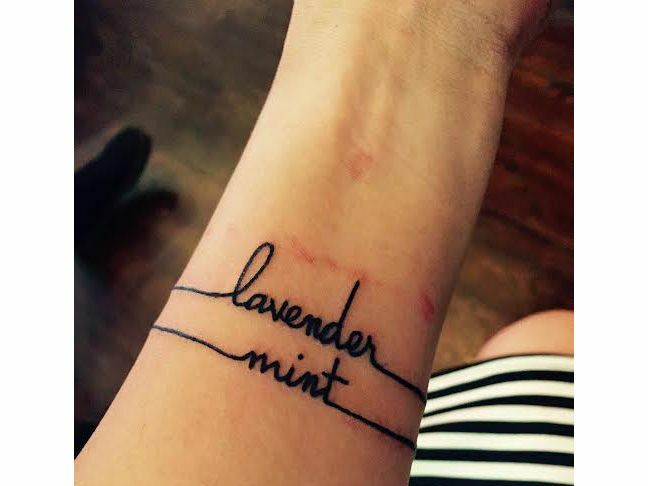 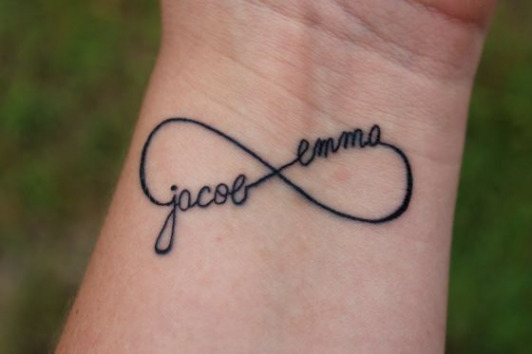 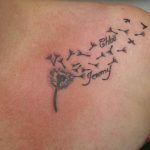 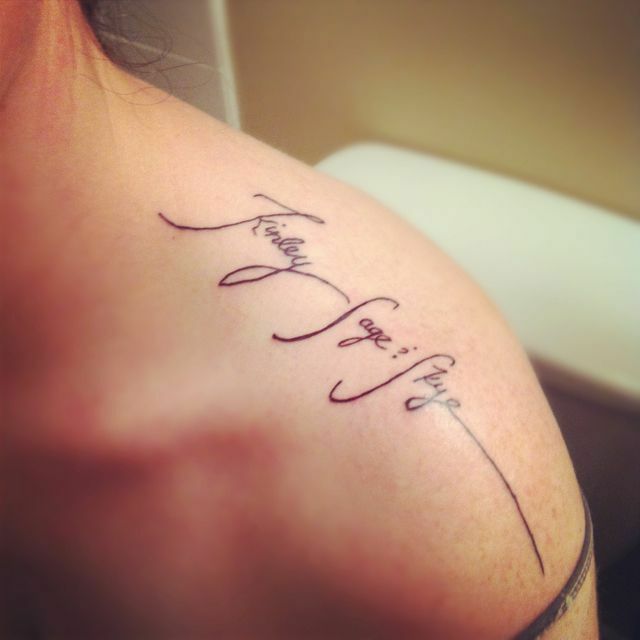 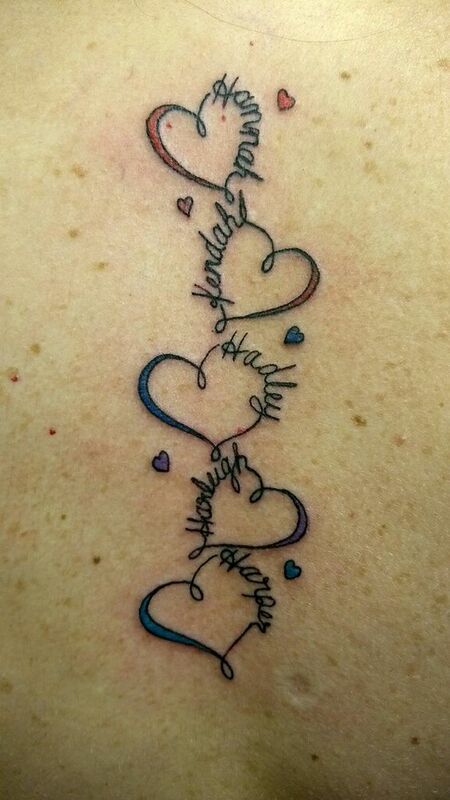 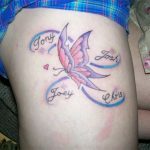 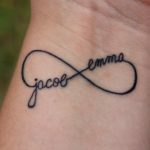 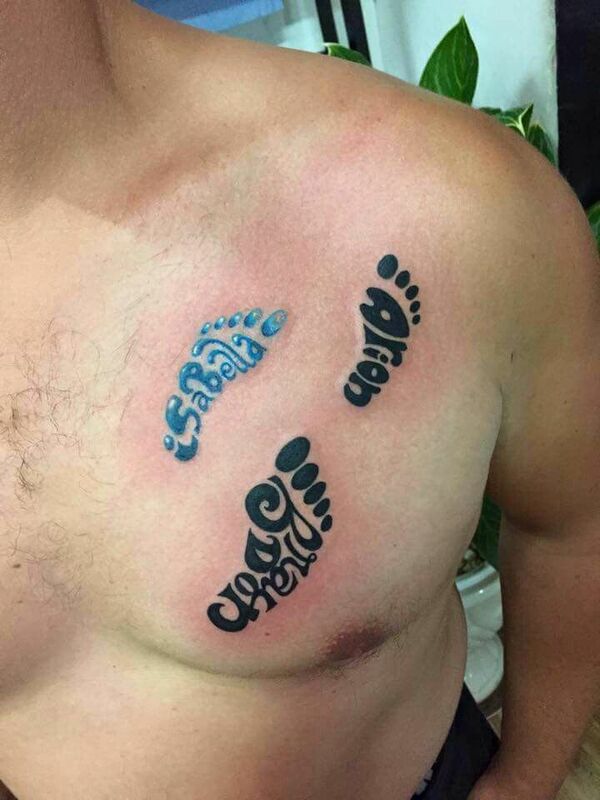 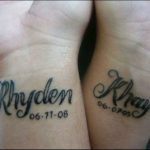 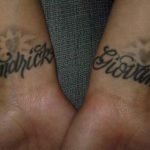 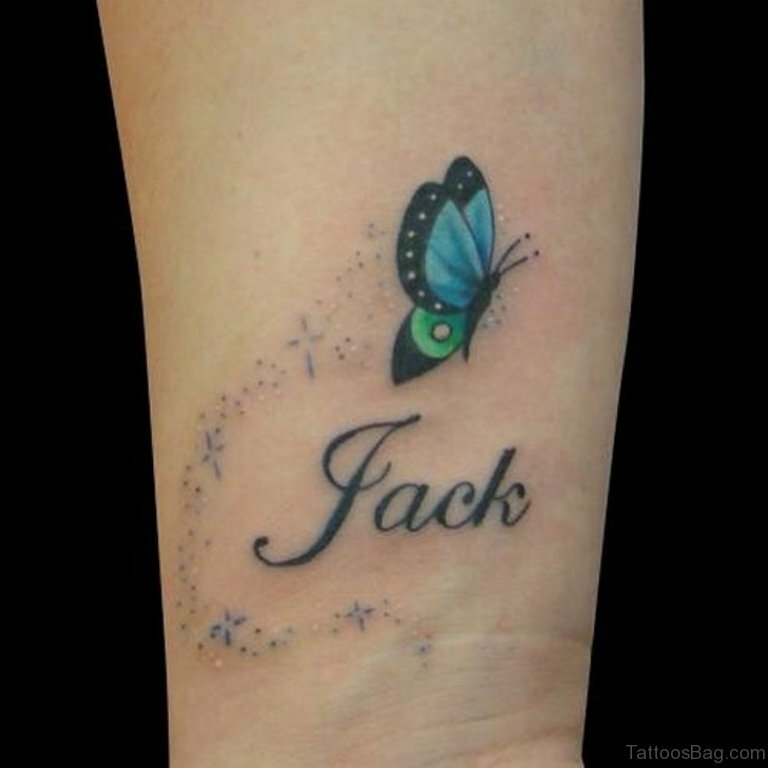 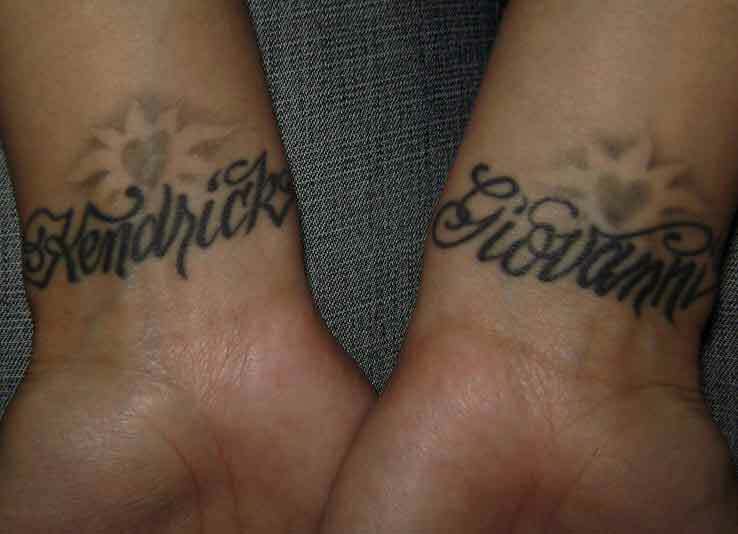 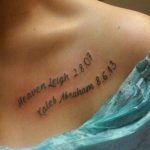 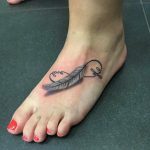 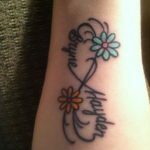 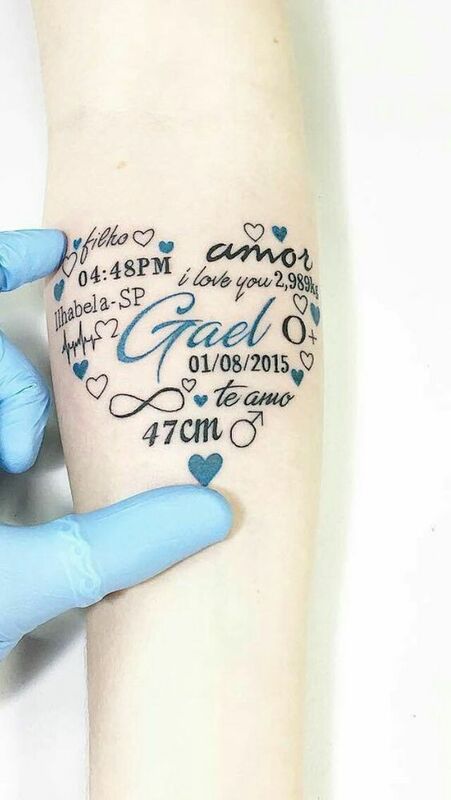 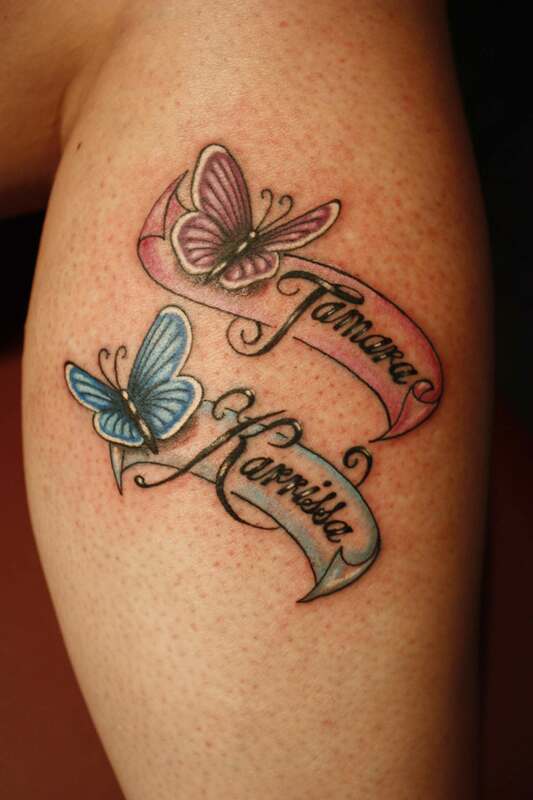 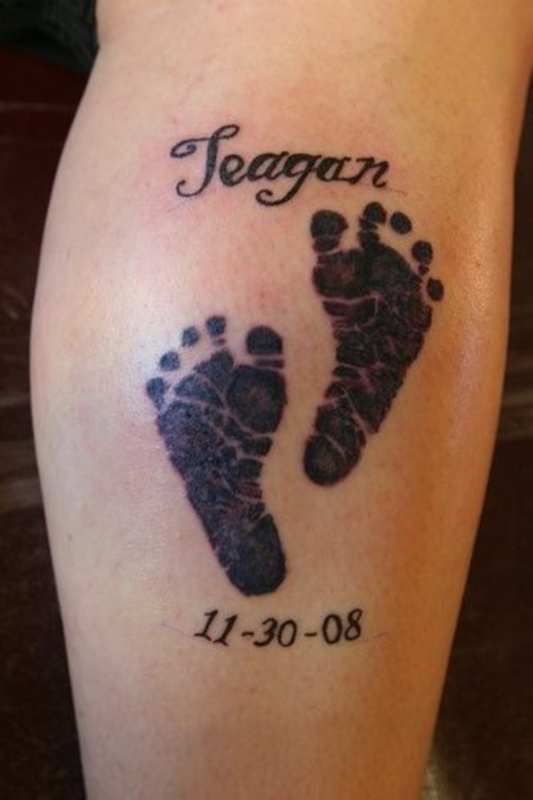 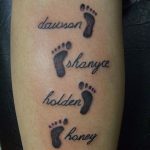 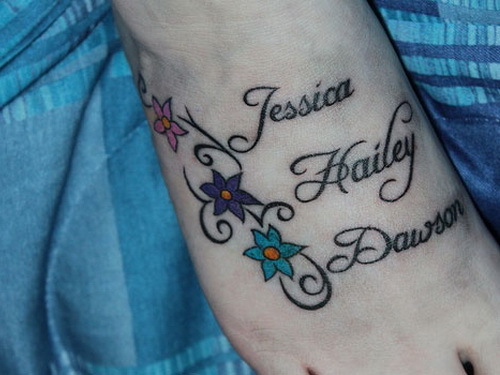 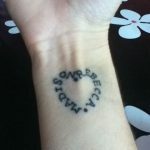 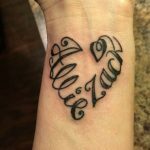 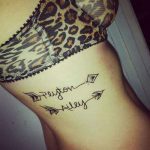 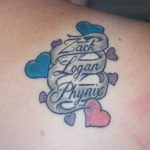 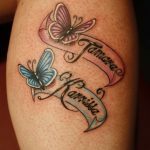 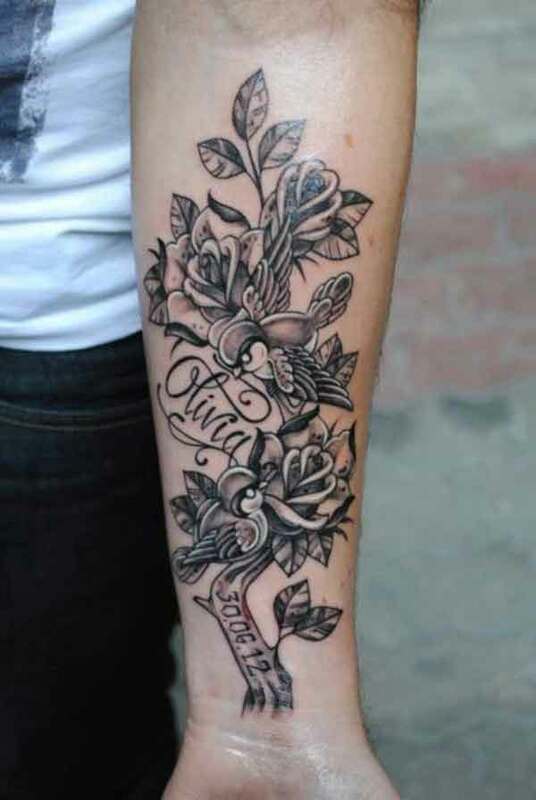 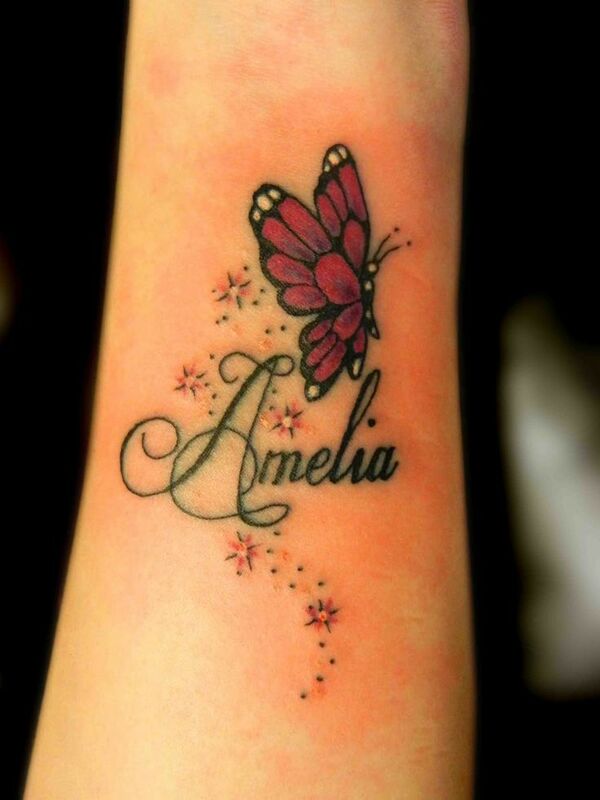 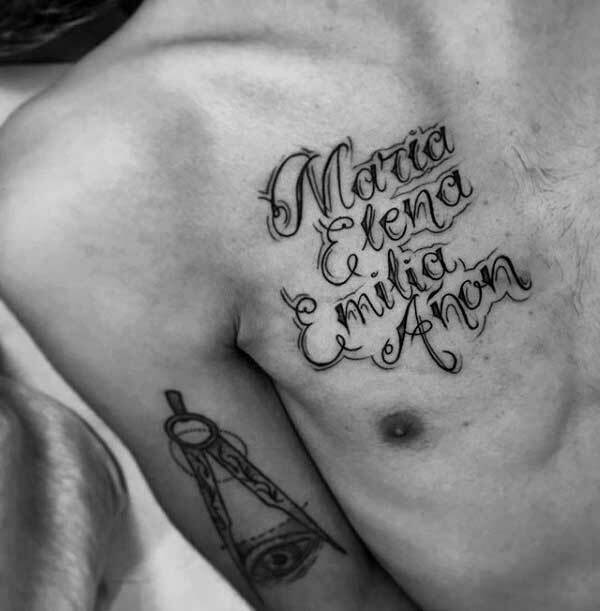 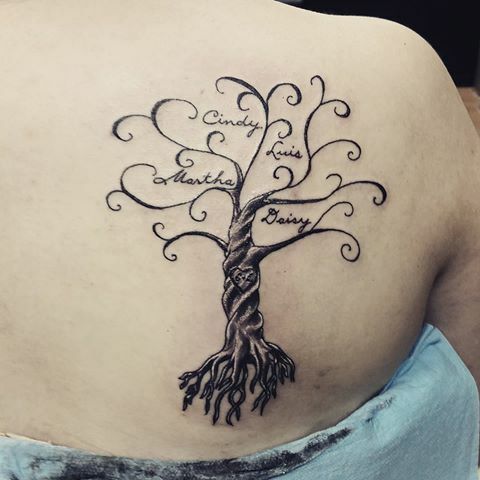 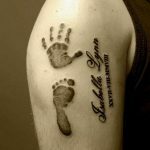 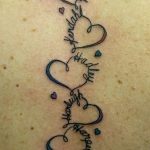 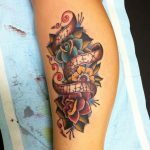 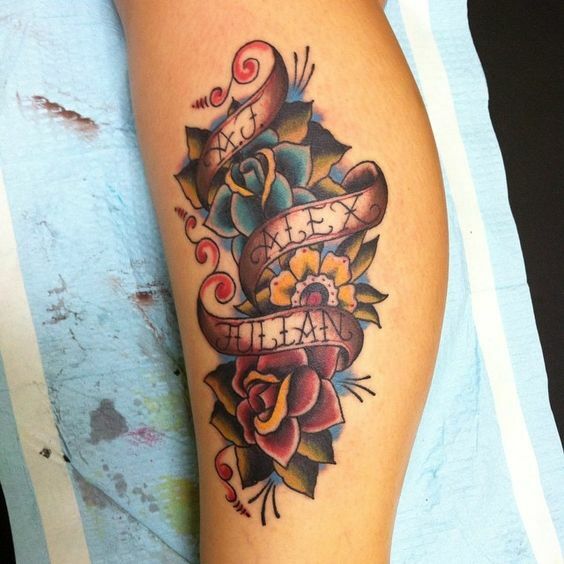 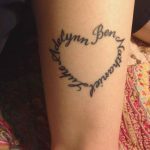 Kids’ names tattoo symbolizes your unconditional love for your children. 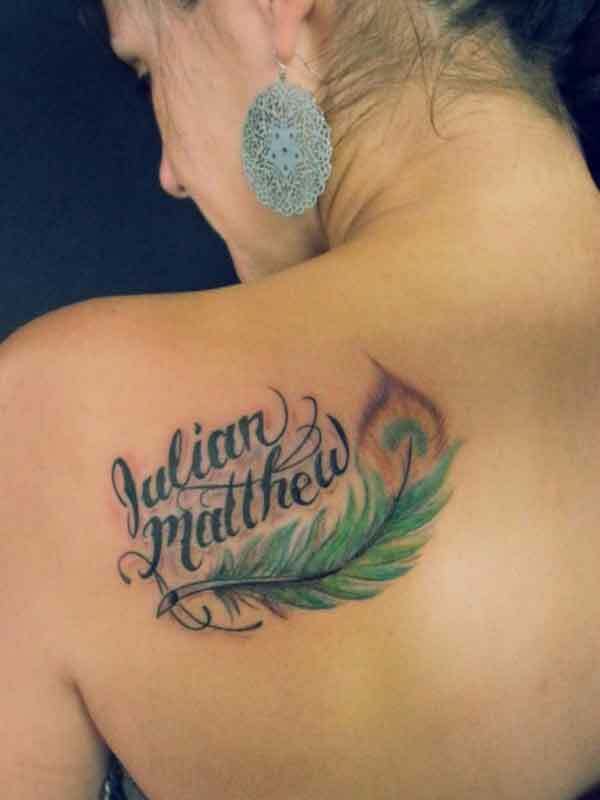 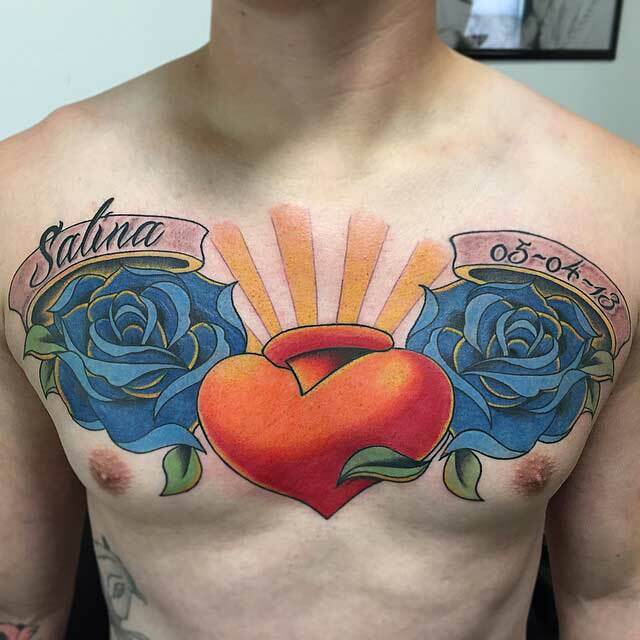 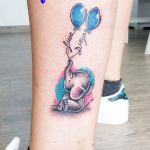 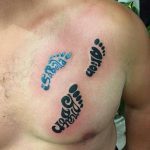 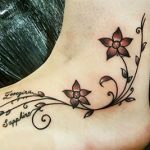 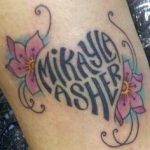 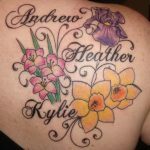 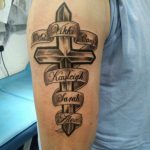 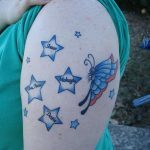 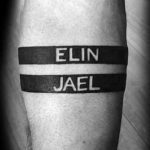 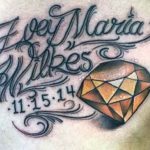 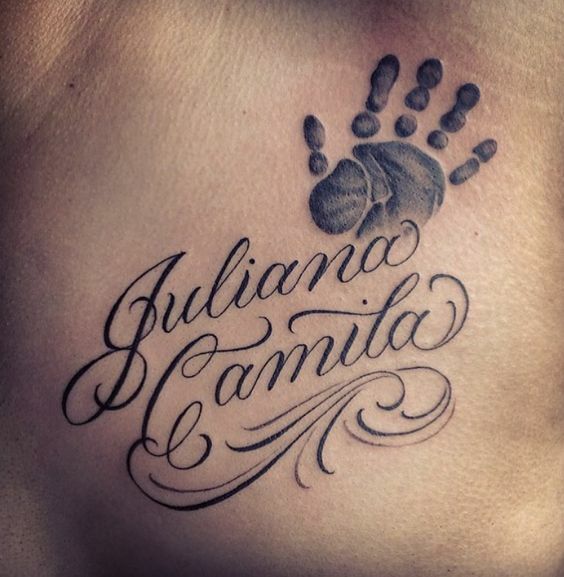 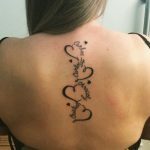 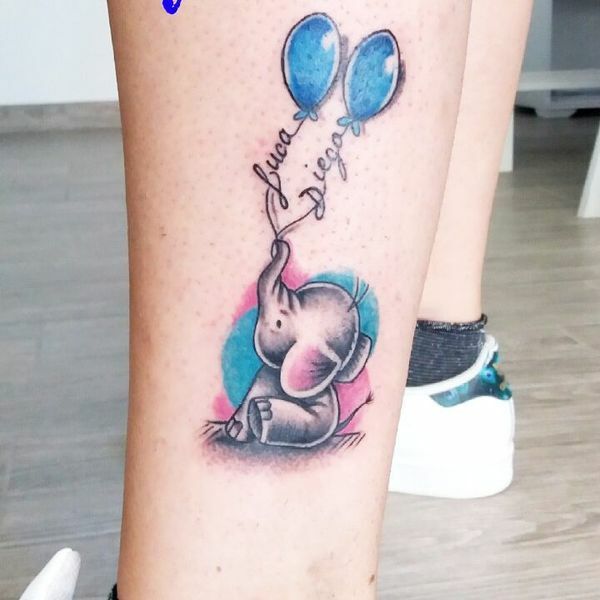 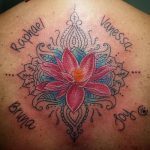 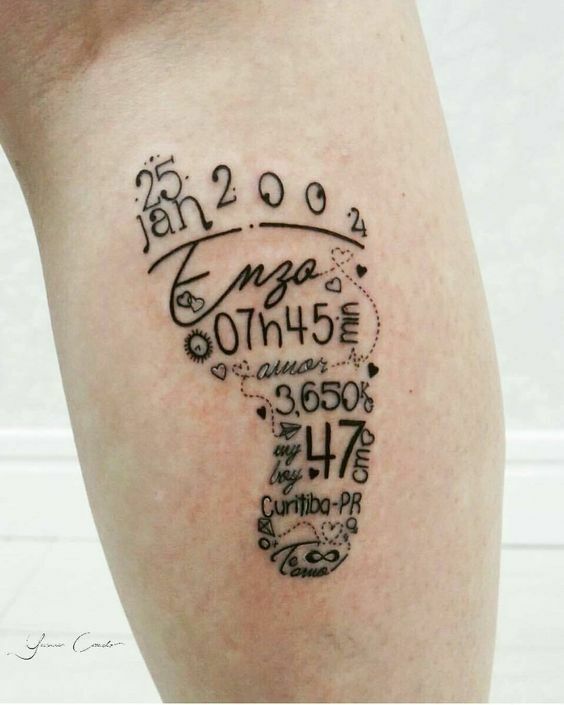 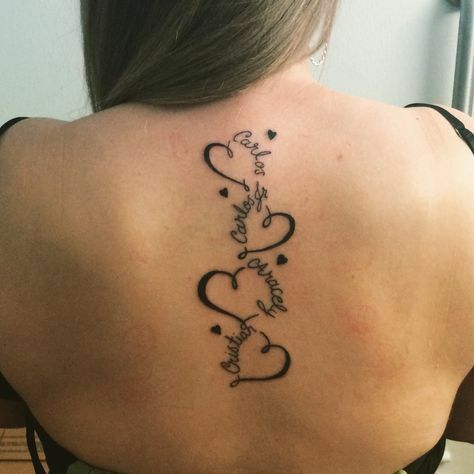 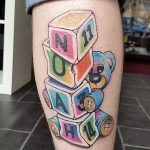 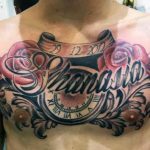 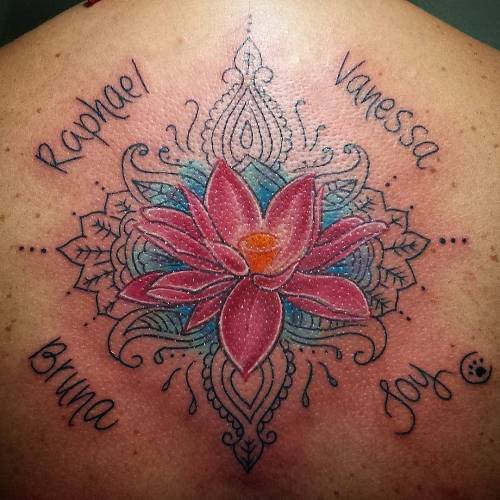 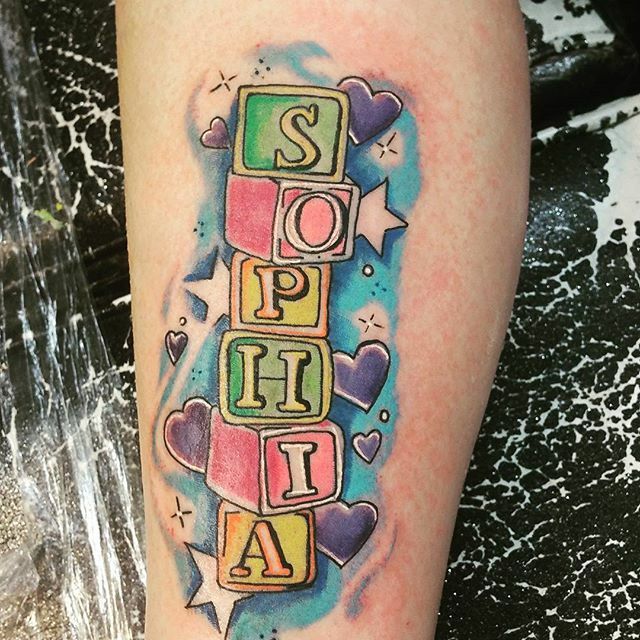 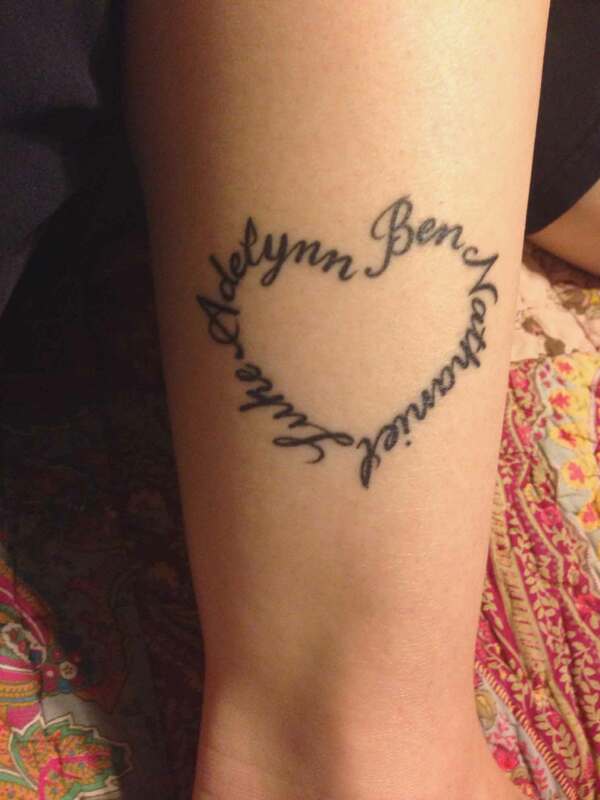 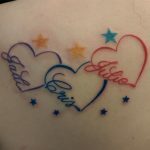 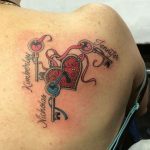 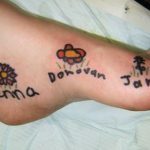 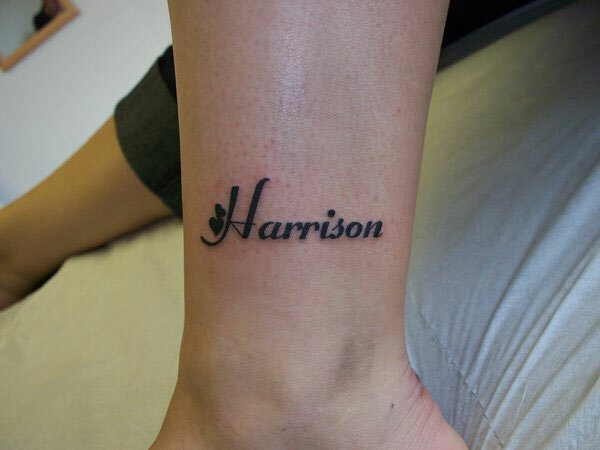 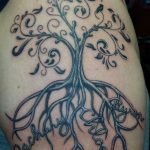 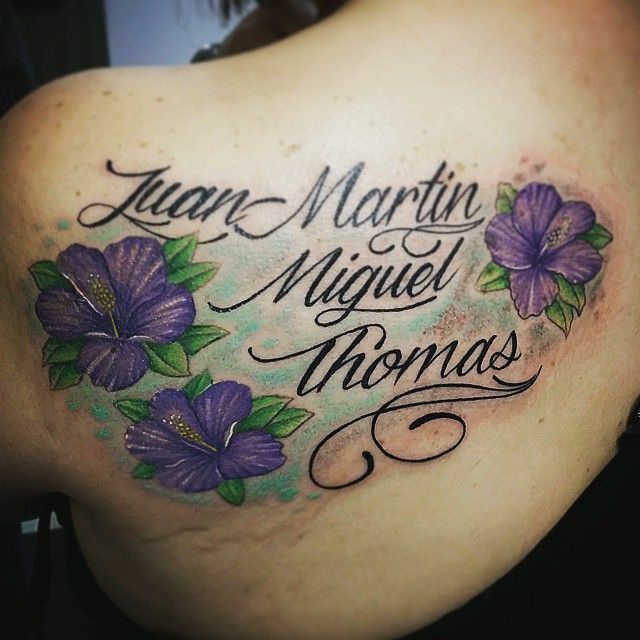 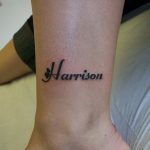 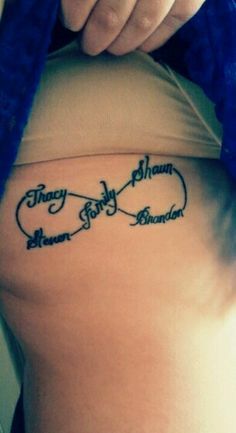 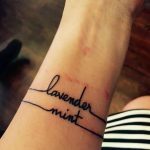 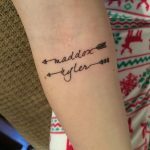 Having a baby is a life changer and one of the most wonderful things in anyone’s life, and that is why so many people get their kids’ names tattooed on their body to celebrate the joy and express their unbreakable bonds with their kids. 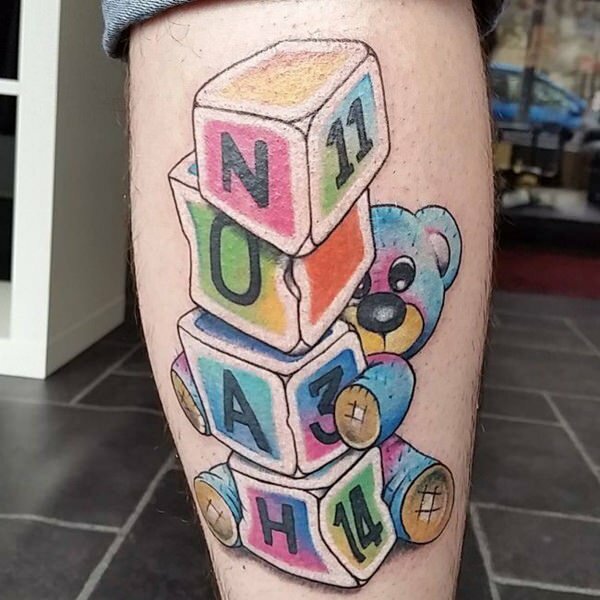 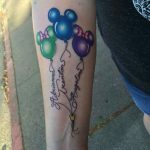 A tattoo without a meaning can get out of fashion down the track but kids are always going to be very precious and permanent to anyone’s life. 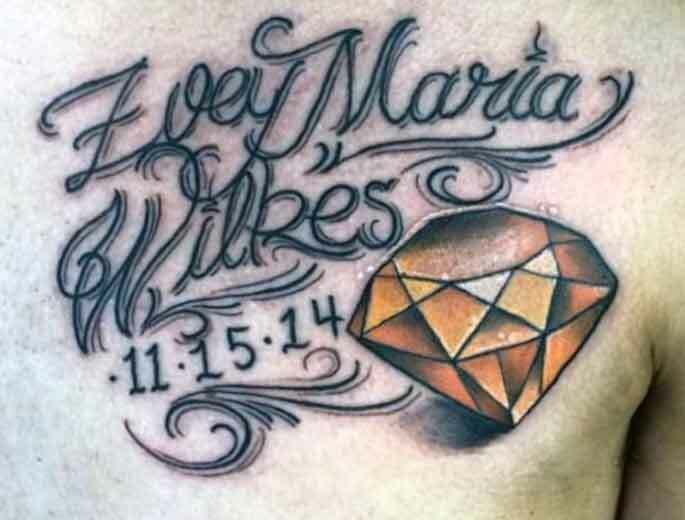 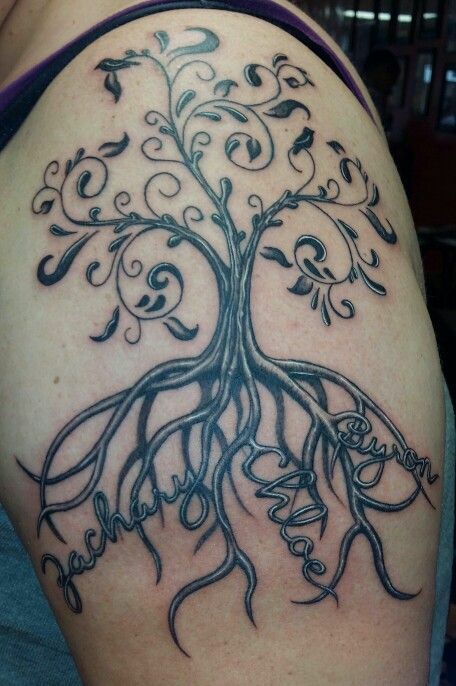 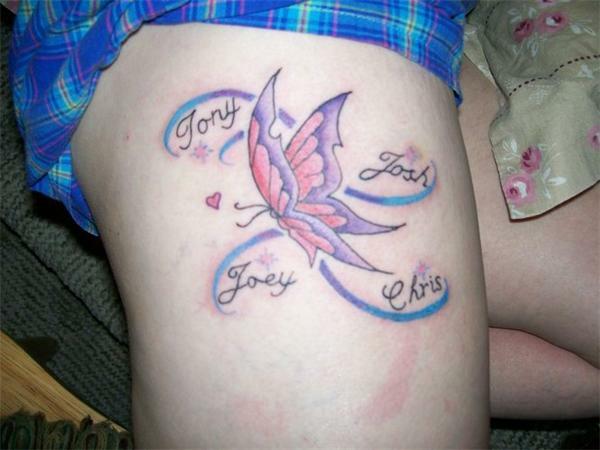 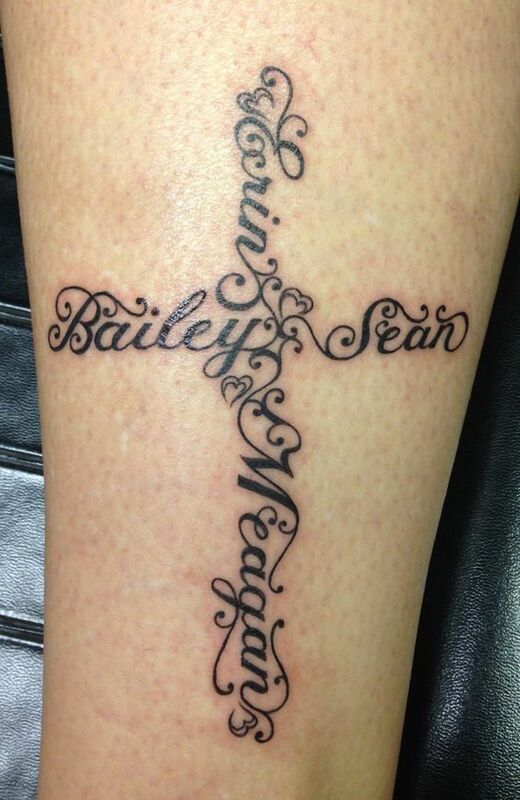 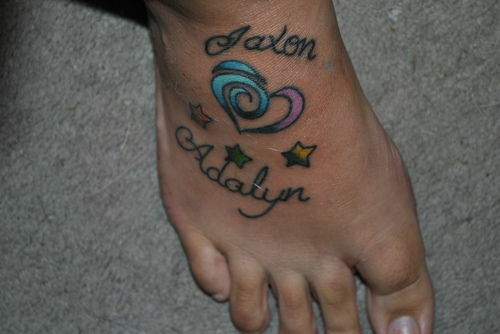 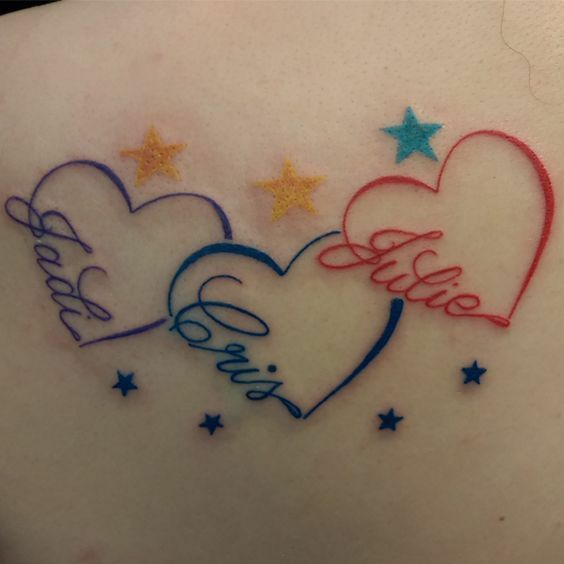 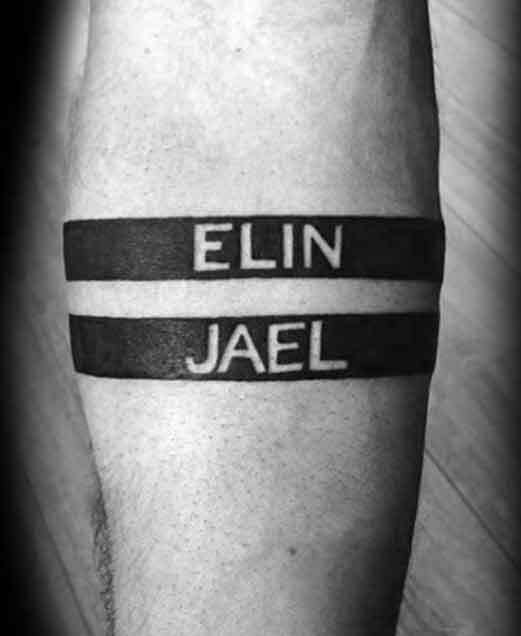 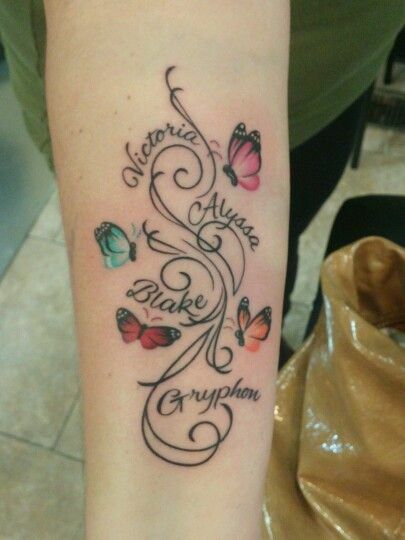 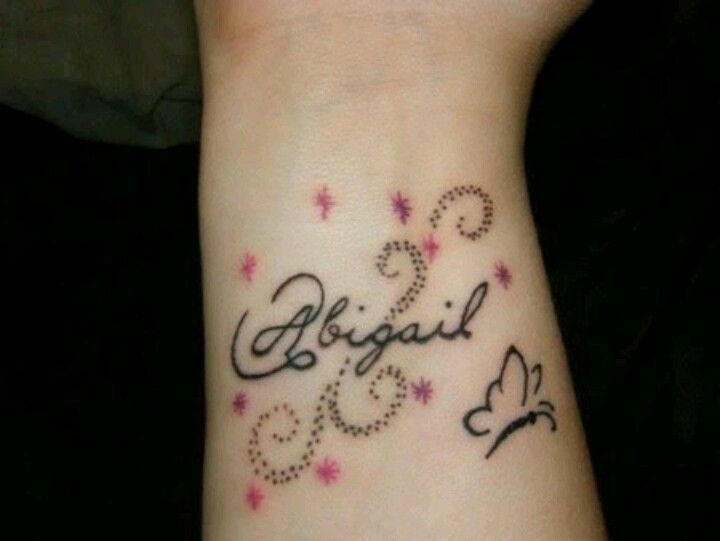 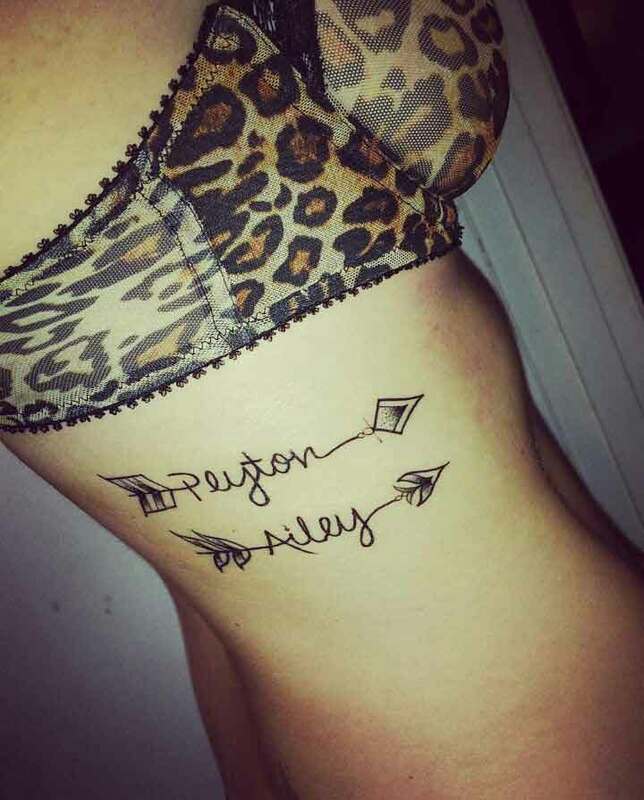 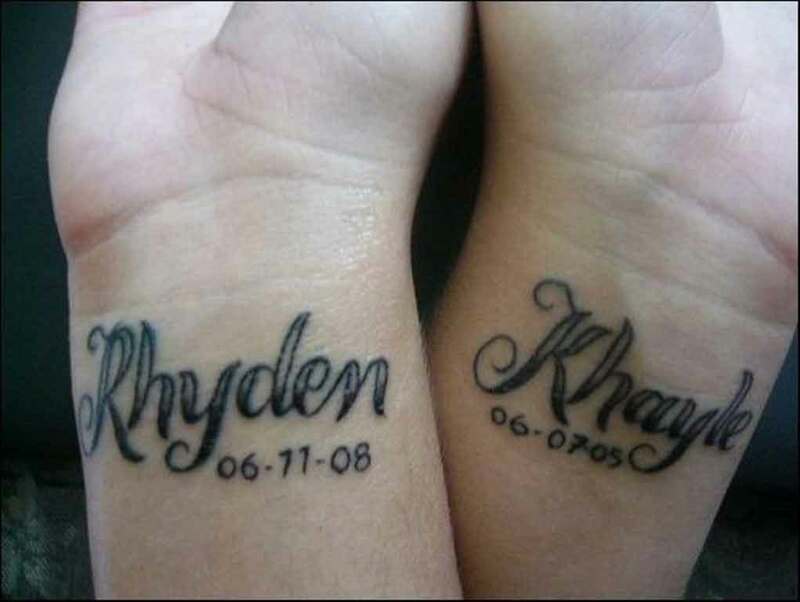 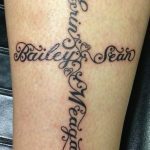 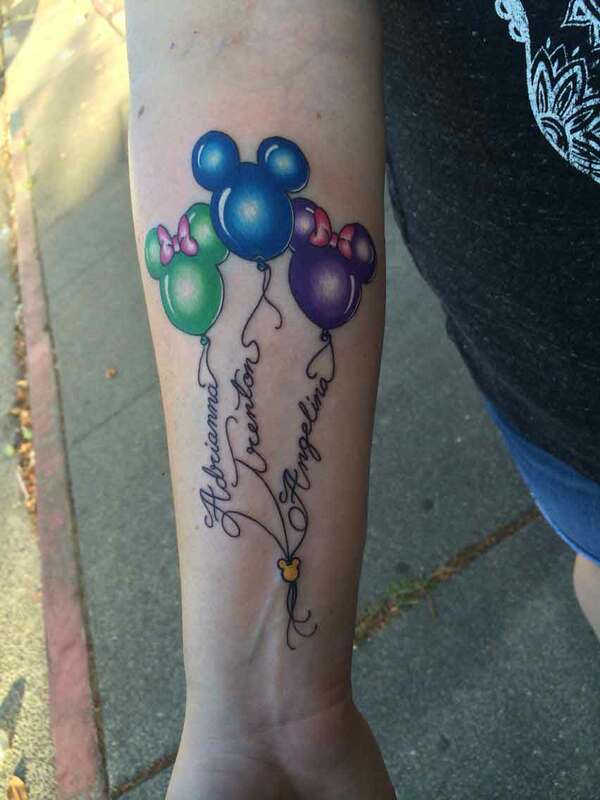 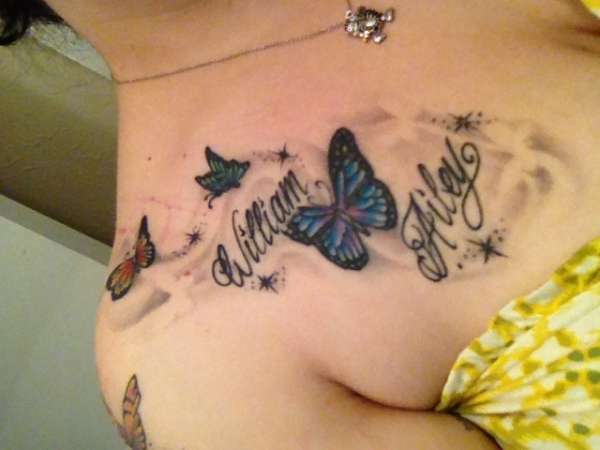 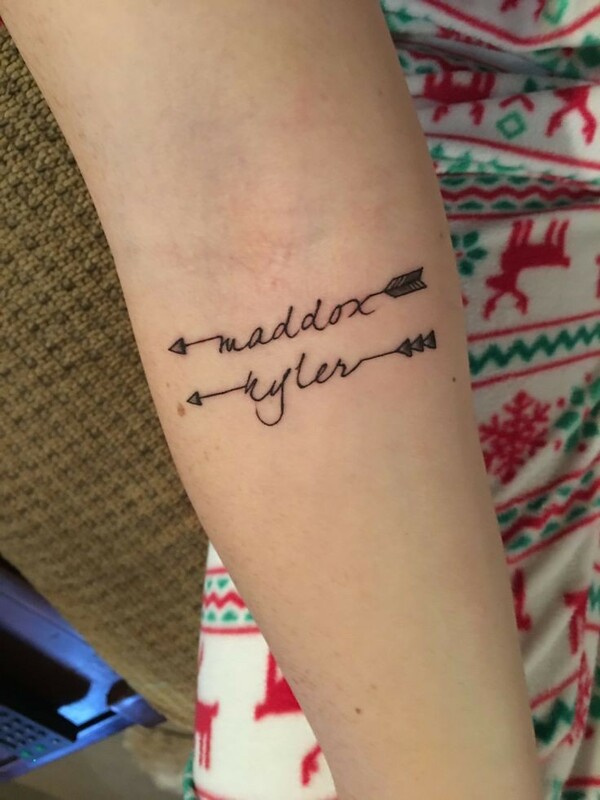 Even someone with no tattoos often get a tattoo with their kids name on it. 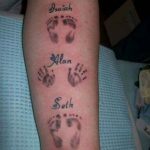 In a way it also helps parents to feel always closer to their kids even the kids are all grown up and live far away from them. 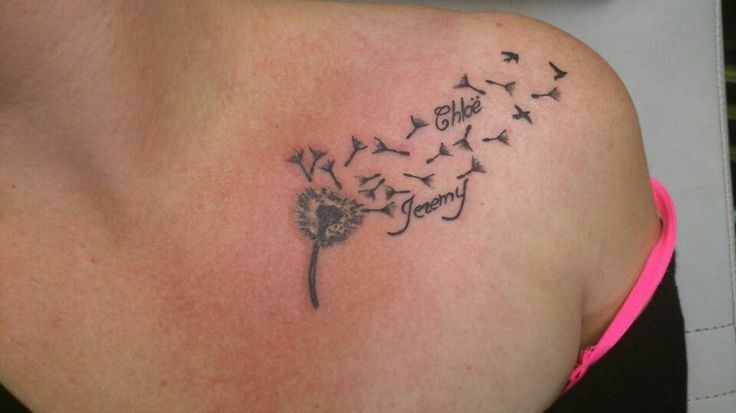 Macklemore has her daughter’s name ‘Sloane’ tattooed on his left chest. 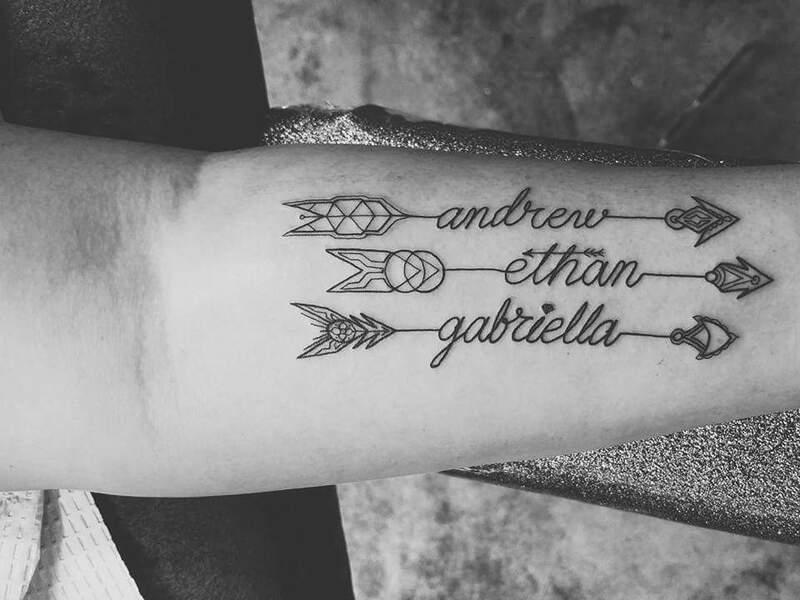 Drew Barrymore has her kids’ names (Olive and Frankie) tattoo on her right wrist. 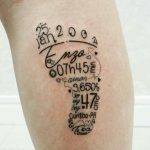 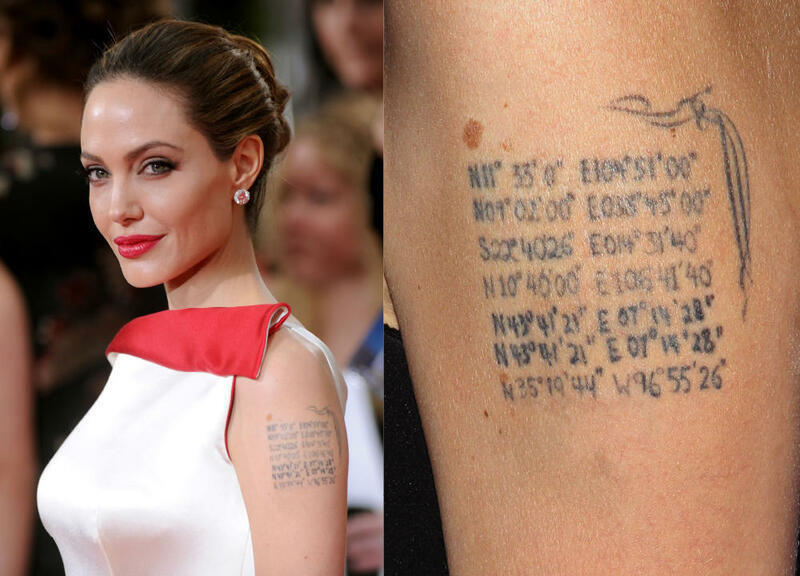 Angelina Jolie has geographical coordinates tattoo on her left arm that represents the birthplaces of her adopted kids. 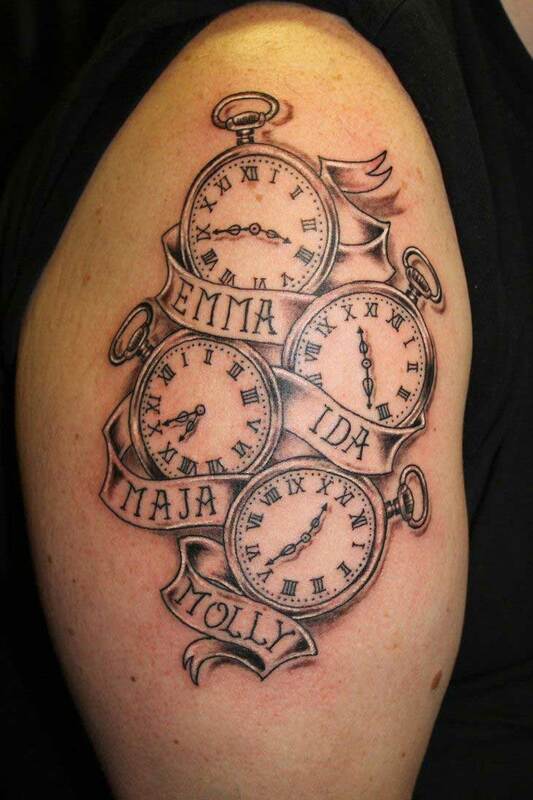 Heidi Klum has for stars tattooed on her forearm to represent her kids. 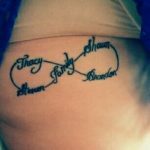 David Beckham has his three sons – Brooklyn, Romeo and Cruz’s names tattooed on his back and his daughter Harper’s name along his collarbone. 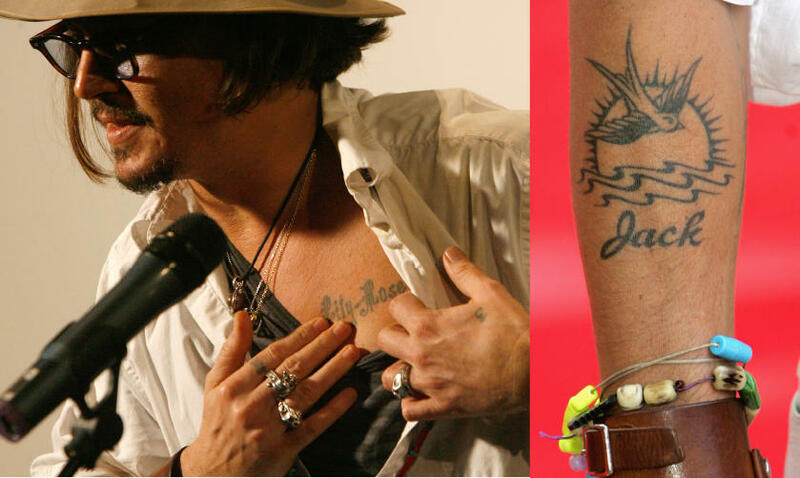 Johnny Depp has his daughter Lily Rose’s name tattooed on his chest and flying bird tattoo on his forearm to represent his son Jack.